Download an application in word or pdf. Women across Guatemala are organizing to combat violence and destructive large-scale development projects. Join GHRC's annual delegation to Guatemala this August. The 9-day trip is an intense and inspiring experience that will expand delegates' understanding of women's day-to-day realities and provide them with the knowledge and tools to be effective advocates upon returning to the United States. Delegation participants will meet with a diverse group of women: Mayan, Xinca and ladina; rural and urban; community organizers and national activists; survivors of violence and victim’s advocates. Delegates will also have the opportunity to share their experiences and concerns with officials from the Guatemalan government and the U.S. Embassy. A majority of Guatemalan women will be victims of some form of violence during their lifetime. Indigenous women, particularly in rural areas, also face marginalization and discrimination. In the last 10 years, high rates of brutal sexual violence and femicide have made Guatemala one of the most dangerous places in the world to be a woman. More than 6,000 women have been murdered in Guatemala since 2000. The Guatemalan government has lacked the will and capacity to deal with the problem, and the perpetrators of this violence are able to act with impunity. Women throughout the Americas have raised their voices, calling for an end to violence against women in the region, even as the levels of violence continue to rise. In Guatemala alone, more than 6,000 women have been murdered since 2000. Family members, witnesses, and leaders of women’s rights organizations continue to work under threat to halt the violence and seek justice for the victims. Despite the often overwhelming barriers women confront in Guatemala, women's groups continue to organize and educate themselves, articulating new models of feminism, forming the backbone of community resistance, and becoming powerful advocates at the local and national level. Women have taken the lead to support victims of violence, increase awareness, and advocate for gender equality and support from public institutions. They have formed survivors’ associations, mental health groups, and regional coalitions. Still others have spoken out against discriminatory laws and a justice system plagued by impunity. As they advocate for women's rights, and the right to live free from violence, indigenous women have emerged as leaders in communities' struggle for land rights. In many cases, their communities face the imposition of extractive industry projects that would cause permanent destruction of natural resources, as well as forced eviction of many families with a historic right to the land. Our delegation focuses on women's struggle for justice, equality, and their inspiring work in their communities to protect women's bodies and mother earth from destructive violence. We will meet with leaders in the Guatemalan women’s rights and feminist movements, including organizers, lawyers, survivors, and victim advocates. We also visit one of the few domestic violence shelters in Guatemala and learn how women’s groups are empowering women in rural areas. We will hear from leaders in the human rights movement about specific challenges for women, and meet with government officials responsible for monitoring gender-based violence. We also explore the wider socioeconomic and political contexts in which this violence takes place, including the historic legacy of violence from the internal armed conflict, ongoing efforts to end impunity, and the devastating impact that large-scale dams, mines and biofuel production have on women and their communities. 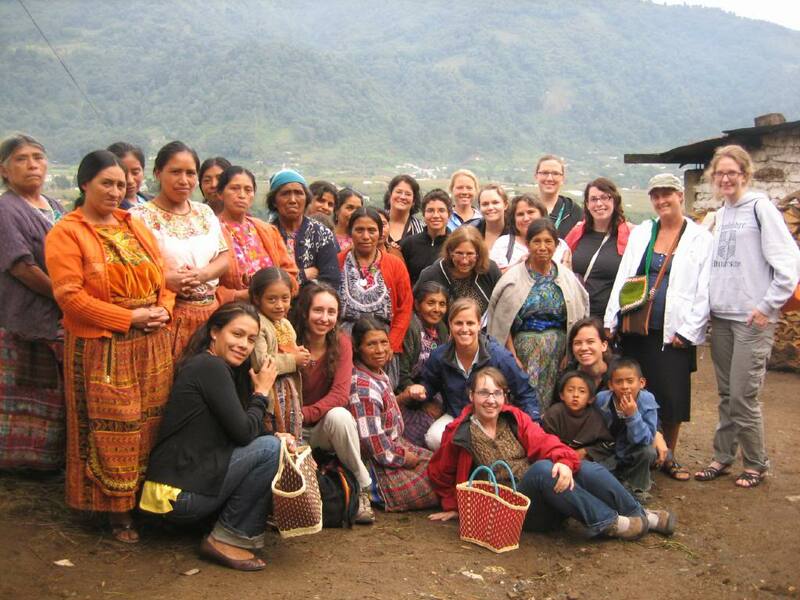 Through these meetings in Guatemala City and conversations with women leaders in indigenous communities in rural areas, participants will return home with a deeper understanding of women's struggles in Guatemala, inspiring stories of empowerment and tools to be solidarity advocates for Guatemalan women in the international community. Read about last year's delegation from one of the participants or see photos from the trip. You can also read about how participants from the 2009 delegation shared information they gathered on the trip with White House staff. Cost for the delegation is $1000, which covers all expenses except airfare. GHRC staff can work with you to raise funds for the trip and limited scholarshps are available. DEADLINE EXTENDED TO June 15! Before the trip, delegates will receive a packet of articles, security guidelines, and a complete delegation agenda. We encourage you to contact our office at ghrc-usa@ghrc-usa.org with any questions.